The USDA released WASDE at 11 central here in Chicago. The report was not that much different than a month ago from the US standpoint. 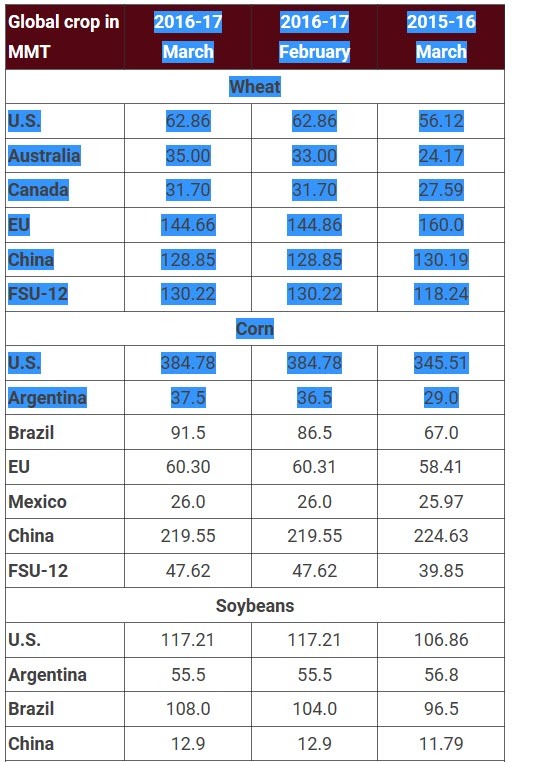 The world numbers came in slightly bearish for corn and beans, and given the price action in crude we could see some follow thru over coming days as premium comes out of the market. I will say, this is kind of a game of “who do you trust”. 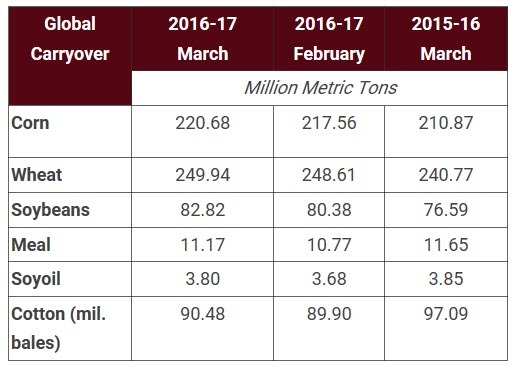 The USDA projected Brazilian corn 3 MMT (100 mil bushels) higher than Brazil authority CONAB did this morning. So keep that in mind here as the market falls. Cotton did not see the bullish bump many thought was in order given the price action of late. Stocks are certainly lower than a year ago on a world level, but I think this is the lowest we see as once we get into the new crop analysis a few months from now, we will see carryovers rise. All in all, a snoozer of a report that probably wouldn’t matter as much if the liquidation event in Crude and the metals wasn’t taking place. I think we see July beans run to 10.00, Nov go to 980 while July corn probably sees the high 360’s and July KC wheat sees the 450-460 level before finding solid ground. I would be a buyer at those levels.